The old Fire TV Stick was cheap and effective, but lacked polish. The new Fire TV Stick takes that winning formula and adds a level of polish and competence that’s almost unbeatable for £40. 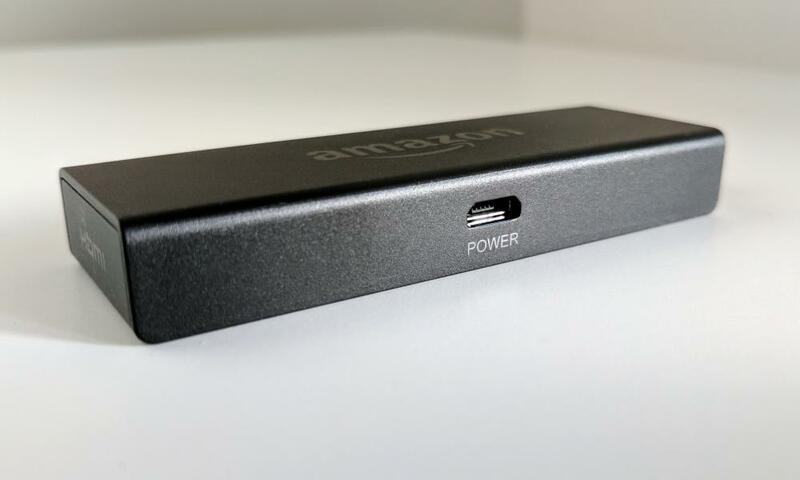 Amazon’s second generation Fire TV stick – which lets you stream video and apps on your TV – continues the same winning formula but adds new voice search, Alexa assistant and a snappier, more polished experience making it one of the best instant smart TV devices available. It looks like a USB flash drive, just with an HDMI connector on one end and a microUSB socket in the side. Set up is incredibly easy. Plug it directly into the back of your TV or receiver, or use the included HDMI extension cable if it doesn’t quite fit next to other devices, connect the included microUSB cable to the power adapter and plug it into the stick. If you bought the Fire TV Stick directly from Amazon then once you’ve put in your wifi password, your account details will already be set up and ready. 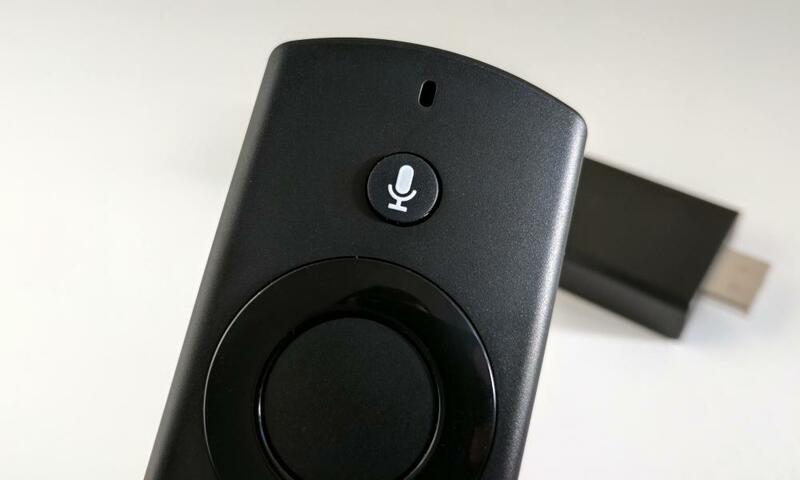 A few clicks of the Bluetooth remote and a short and useful introductory video that runs through the basics of voice control and you’re ready to go. You need an Amazon account to use the Fire TV Stick, but you don’t need a Prime subscription. 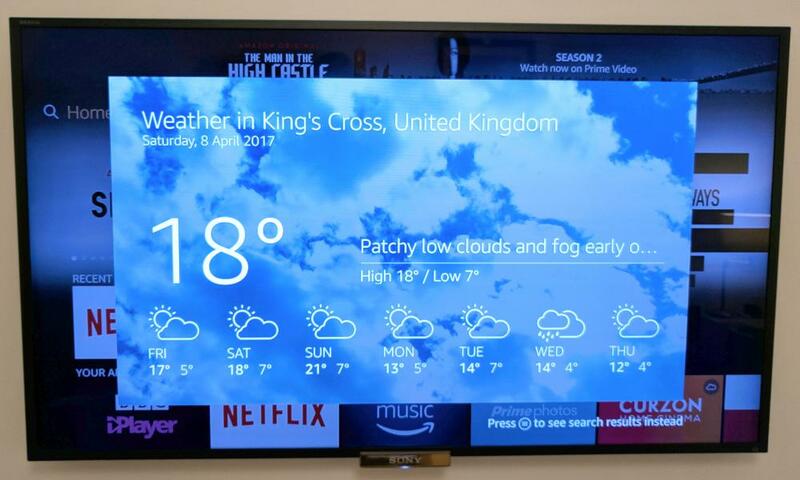 Instead you can buy content or use one of the many TV, movie or music streaming apps available from the Amazon app store, including Netflix, all the UK terrestrial broadcaster catchup services and Spotify. While you’ll probably already be logged into your Amazon account, you will still have to enter usernames and passwords for third-party apps such as Netflix. The Amazon Fire TV remote app for Android and iOS makes the process much easier by giving you a full smartphone or tablet keyboard for typing it all in, which is much less tedious than having to scroll an on-screen keyboard using the remote. The new Fire TV Stick works just like any other Amazon Fire TV product and most other streaming devices. The remote has a small directional ring for navigating the menu, a back button, home button and an options button, as well as pause-play, fast-forward and rewind buttons. You don’t have to point the remote in any particular direction, as it’s Bluetooth not infrared, and takes two AAA batteries which are included. It’s simple, responsive and the new and improved user interface is both attractive and easy to use, with nice big pictures of media, apps and menu options. The most transformative new thing is that the new remote comes with a microphone built in giving you a one-button push-to-talk functionality. Hold the mic button at the top of the remote to activate Alexa and ask for what you want. It’s the same experience you get from an Echo or Echo Dot device, with full Alexa functionality, but you also get what Amazon calls “cards” that pop up on your TV along with the voice answer. The cards are not interactive, but give at-a-glance visual versions of the voice output, so when Alexa is telling you it isn’t going to rain that day you’re shown some temperatures and weather icons. Simple search works very well. If you want to watch the Good Wife, simply hold the button, say “Good Wife” and Alexa will take you to a page showing the Good Wife and a one-button push to watch it. Where there are multiple ways to view it, Alexa will always show you the one included in a subscription you might have before other ways to buy it. The Good Wife is available on Netflix, but also available for purchase from Amazon. If you have a Netflix subscription logged in, hitting play will take you straight to the next unwatched episode in Netflix. It’s fast, easy to use and transformative if you know what you want to watch. You can also search using an actor’s name, genre and many other different keywords, but I still find browsing through shows still easier if looking for inspiration, as Amazon or Netflix suggestions are normally better than I would have come up with on my own. The new Fire TV interface also allows Netflix, and soon other third-party apps, to suggest content you might be interested in directly within the home screen under their own carrousels, which is useful. Voice control extends to playback options too, skipping minutes of video, pausing, playing and other functions within Amazon Video. Full Alexa functionality also extends to smarthome control. Anything you might connect via the Alexa app on your smartphone you can command with the new Fire TV Stick. Hit the mic button, say “turn on the living room lights” and see any Philips Hue or other connected bulbs light up. Amazon has struck a wide range of partnerships with various smarthome device manufacturers, including Samsung SmartThings, Philips Hue, Nest, Hive and many others, making it one of the most versatile smarthome voice assistants. The new Fire TV Stick with Alexa Voice Remote costs £39.99 making it one of the best value smart TV streaming devices available, and £5 cheaper than the previous version with a voice-enabled remote. Setting it up is easy. You have to have an Amazon account and are tied into the firm’s services, but third-party app support is excellent, with all the major UK TV streaming and catchup services bar Apple’s and Sky’s service. The Alexa support is transformative, making the Stick much more than a basic TV streamer, but also doesn’t get in the way. You can still perform every streaming function without having to utter words, and while Alexa is very capable, the Fire TV Stick doesn’t try to hard to be more than it is – a very good smart TV device in a cheap and effective package.